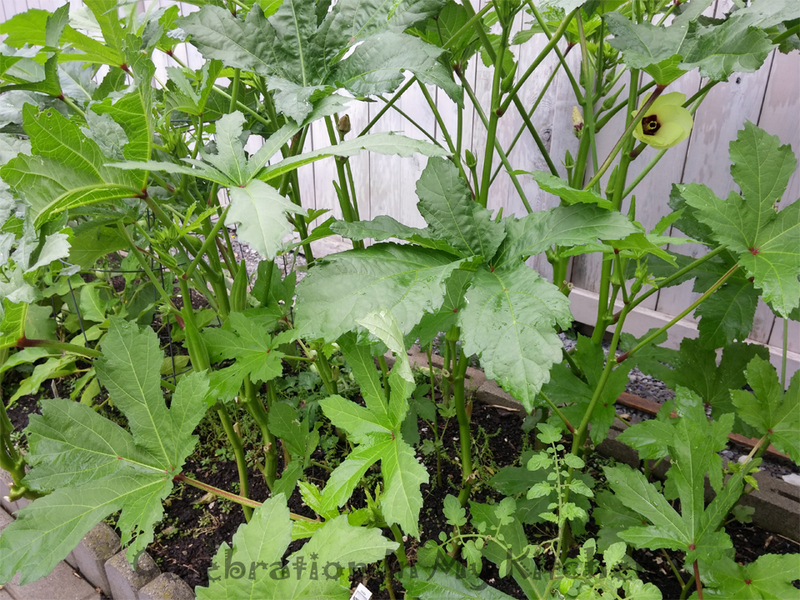 ​Throughout the summer, I enjoyed watering the okra plants. The delicate thin stalks grew to a reasonable height with thick strong stems, attractive yellow flowers and yielding beautiful edible pods. More pods we picked, more sprung up, which were so tender, fresh and delicious. 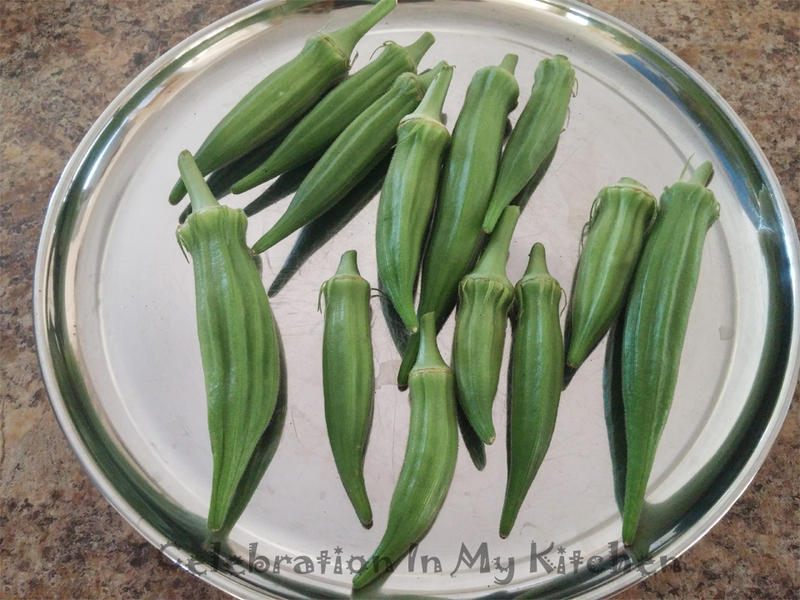 We enjoyed a good harvest of okra from our garden. 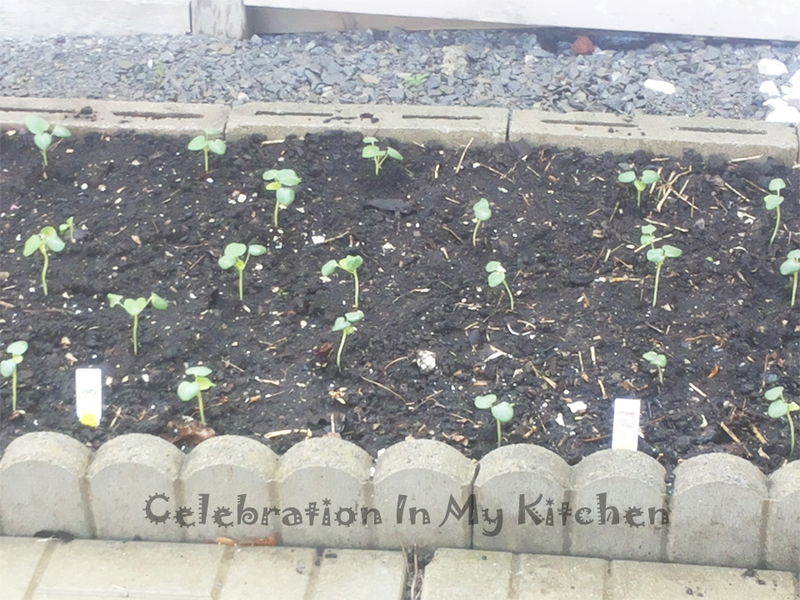 A wonderful, versatile vegetable that can be cooked in a curry, stew, gumbo, fried, baked and even pickled. To maintain the pod as a whole and enjoy it to the fullest, I decided to stuff them. 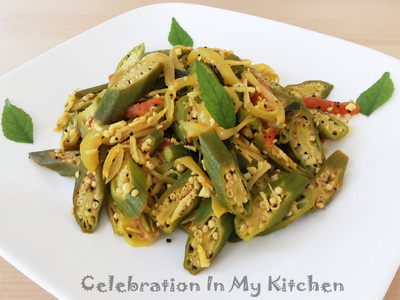 Two ingredients; coconut and the Goa sambhar powder were used as the filling. 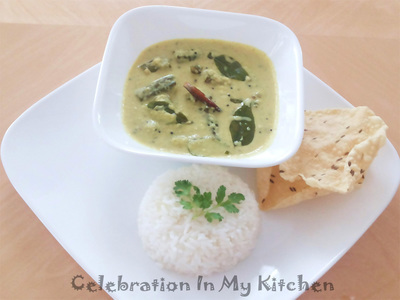 The sambhar powder is a blend of various spices, which goes well with freshly grated coconut. 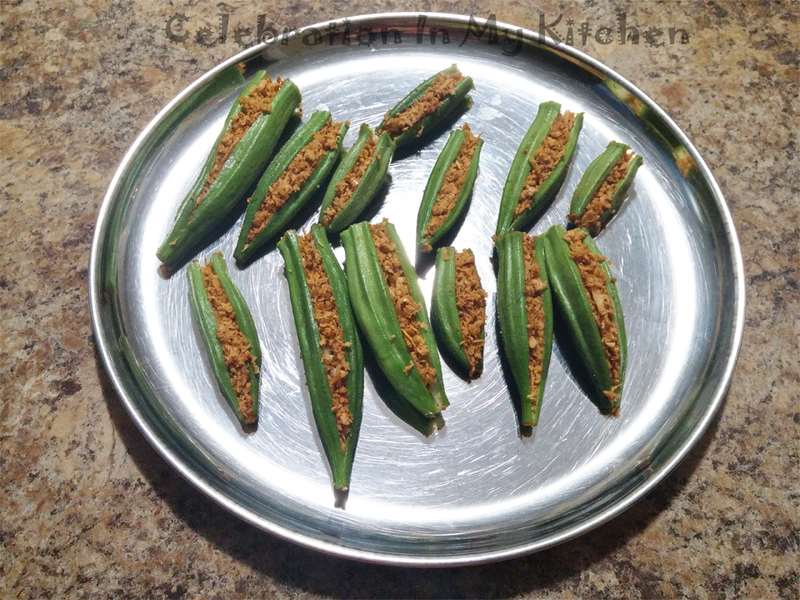 Okra are cut lengthwise, stuffed with the filling and cooked over sauteed onion, green chillies, garlic, ginger and tomato on low heat until tender-crisp. 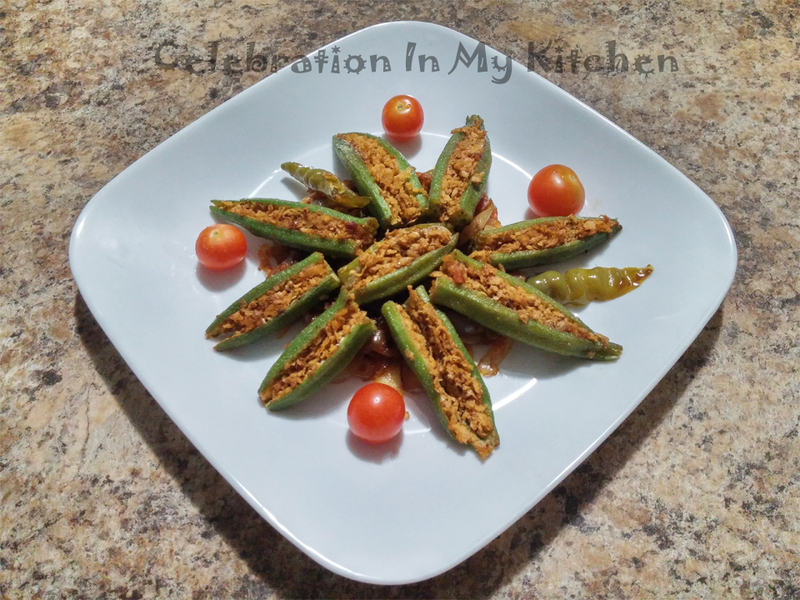 Served as a side dish with the main meal, the stuffed okra were delicious. 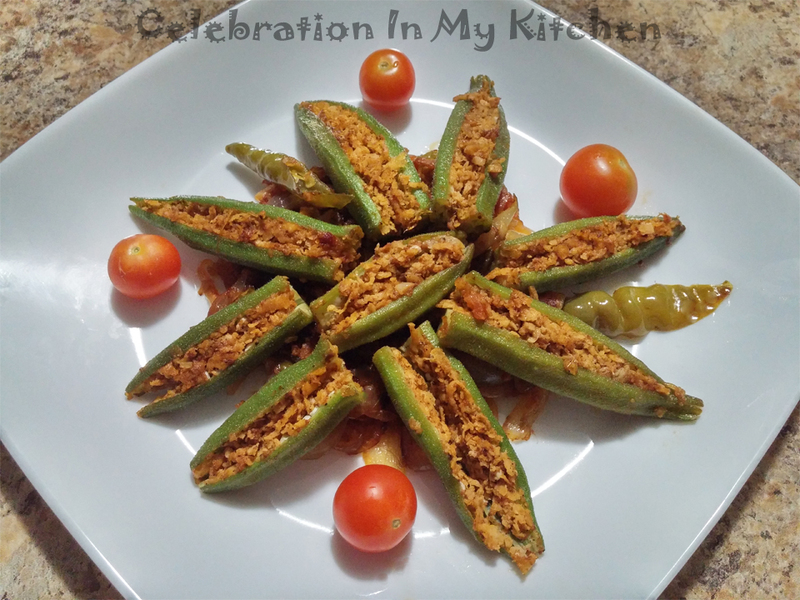 The coconut filling complemented the delicate flavour of the okra and with the rest of the caramelized sweet vegetables, they were an absolute pleasure to eat. 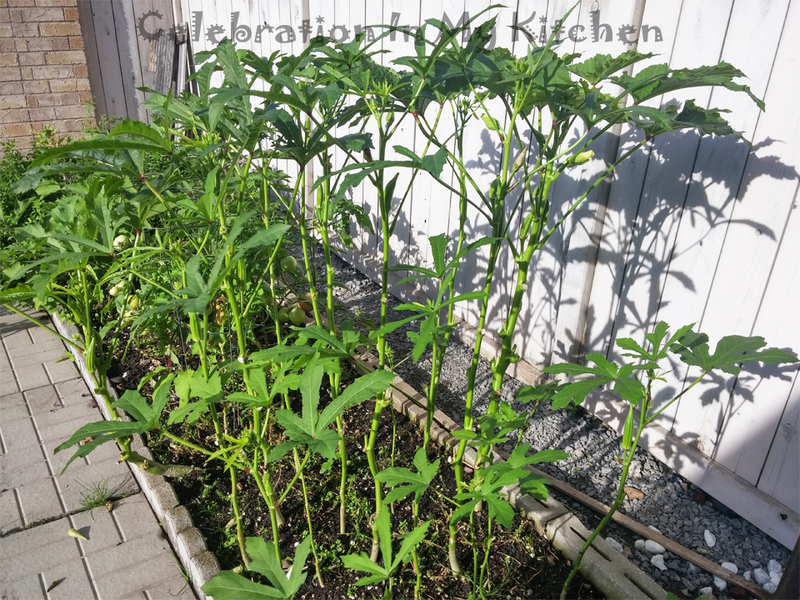 For information on how to select okra and its health benefits, click on the three okra recipes listed below. Mix the coconut with the sambhar powder and set aside. Wash okra and trim off the ends. Slit each lengthwise on one side and stuff with the coconut mixture, pressing the filling firmly. Heat oil in a skillet, brown onions along with garlic, ginger, curry leaves and salt. Add tomato and fry till pulpy. 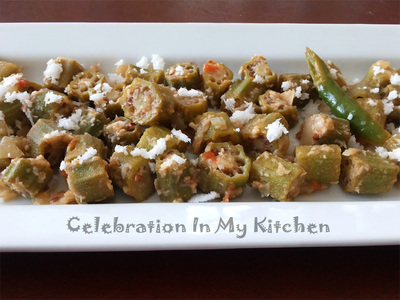 Carefully place stuffed okra in the pan. Reduce heat to the lowest setting, cover and cook till okra are tender-crisp. 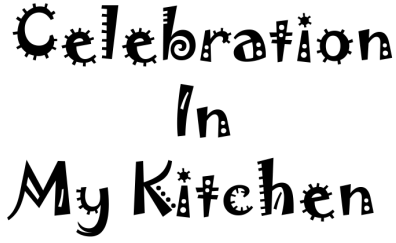 Sprinkle some more salt, stir gently and serve.